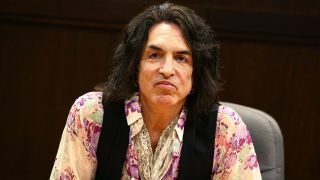 Kiss icon Paul Stanley says he wants to record a third solo album – his first since 2006's Live To Win. And he says the project would be much more like his first – 1978’s Paul Stanley. It comes shortly after Stanley told member of San Francisco’s Jewish Community Centre that some of Kiss’ records were essentially solo albums anyway. He said: “My second solo album was really like a project for me to get away from what I do with Kiss, because some of the Kiss albums have been, basically, almost solo albums. Stanley has been meeting fans on a promotional tour for his book Face The Music: A Life Exposed.